Come Work with BBQ, Beer, Bourbon & The Best of Country Music! Get ready to serve up the best barbeque around! 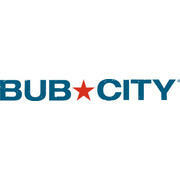 Take your talents to Bub City’s Chicago team as our next SOUS CHEF. We’re looking for someone who has high-volume management experience and enjoys working with a large team, and is skilled at running the line. You can’t be afraid to get your hands dirty … and having a passion for BBQ is even better. If this sounds like you, please apply! We’re eager to hear from you. EOE. E-Verify. Click Apply Now button to apply in our online careers center now! Competitive pay, quarterly bonus program, restaurant discount, medical insurance, domestic partner benefits, 401(k), employee assistance program (EAP). paid time off (holiday, vacation, sick days, parental leave), and more. With a nod to its roots as one of the city’s most beloved spots in the early 90’s, Psaltis created Bub City's new menu with a focus on authentic barbecue. 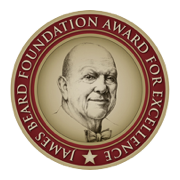 Signature items include 18 hour Beef Brisket, Burnt Ends, Baby Back Ribs, Carolina Style Pulled Pork and Fried Chicken. Large groups can enjoy the “Whole Pork Picnic” featuring Slow-Smoked Pork Shoulder served with four sides. Guests can enjoy starters such as “Giddy Up Fries,” Truckstop Cheese and Crakers, TNT Taquitos, Famous Fried Pickles, as well as variety of sandwiches. Southern-inspired side dishes such as: Sweet Potato Fluff, Buffalo Tots, Corn Off The Cob and three takes on Mac and Cheese round out the menu. The weekend brings an impressive selection of brunch BBQ staples including Biscuits and Gravy, Beef Brisket Benedict, and Fried Chicken & Waffles, as well as a bevy of Hash Browns, and Cinnamon Sticky Buns. An extensive Bloody Mary bar is the perfect complement to any meal. With Joe’s on Weed Street partners Ed Warm and Tom DeSanto in the mix, there is more to enjoy than just great food and drink. Guests can expect to see some of country music’s emerging talent featured on the venue’s 16-foot stage positioned at the center of the 4,500-square-foot space. The duo behind the city’s most popular country destination is already planning for some of country music’s biggest stars to stop by while on tour.